You might have heard about the Jameson Distillery Bow St. in Dublin, Ireland. 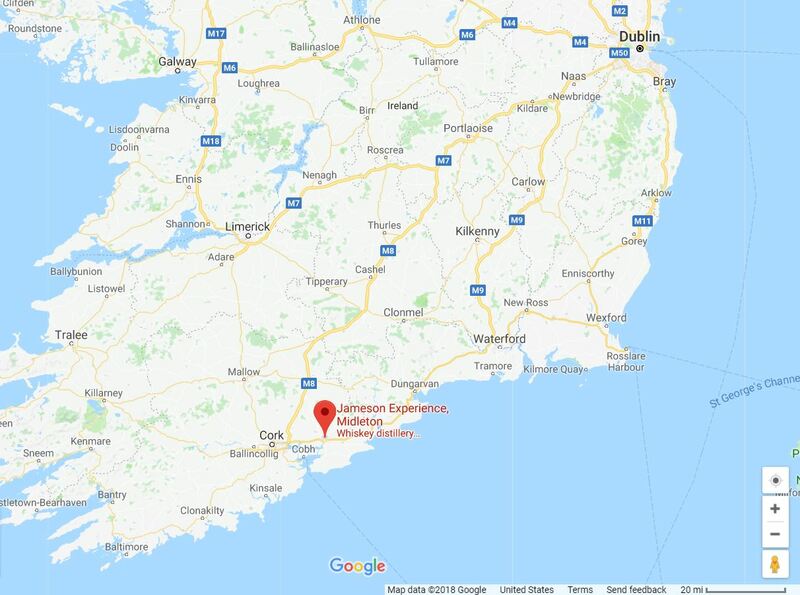 But did you knew Jameson whiskey operations moved from Dublin to Midleton (County Cork), Ireland? On our last trip to Ireland, we skipped Bow St. and went straight to Midleton. 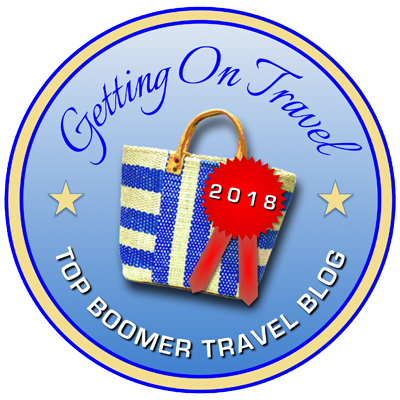 Keep reading to know how to get there, and what to expect on this tour (without too many spoilers). Location in Ireland of the Jameson Experience, Midleton. How to get to the Jameson Experience, Midleton? 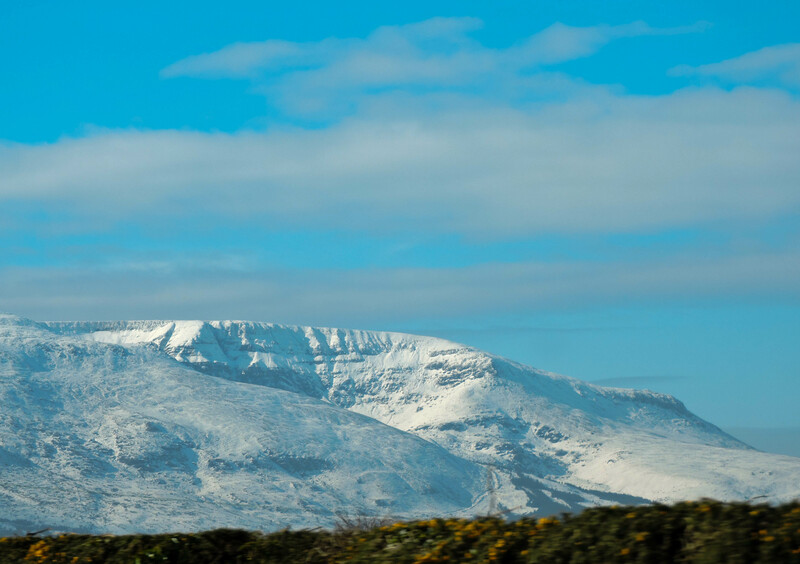 Comeragh Mountains (County Waterford) covered in snow after the March 2018 Winter Storm Emma. After driving from Kilkenny through Waterford and its beautiful mountains, we arrived in Midleton. I would like to say it was a smooth and tranquil drive, but we were at the edge of our seats because of the narrow roads and driving on the left. To avoid this, you can take the M50-M7-M8 route, or arrive at the Cork Airport. Because we were staying the night closer to the city of Cork (Book Insiara B&B Here), it made more sense to us to take the M9 and then move to a rural road where we would encounter the distillery on our way. Follow us on Instagram for more pictures of our Ireland trip. Where to park for the Jameson Experience, Midleton? After following the signs for the distillery, you will encounter multilevel parking (Carpark) at the left of the entrance. Ok, can we start with the pictures of the tour? Yes, we can. 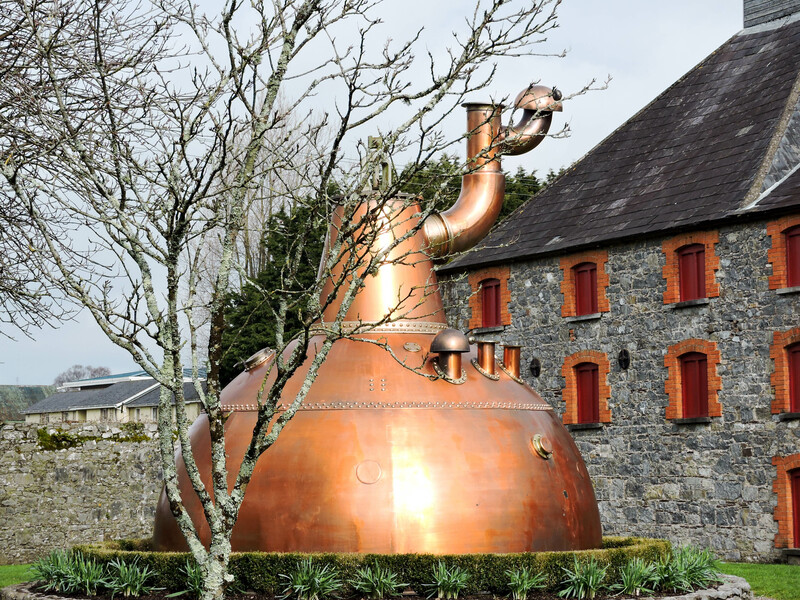 Copper Pot Still at the Entrance of the Jameson Experience, Midleton. Contrary to what we typically do when we travel, we did not buy tickets for the tour in advance. There was a tour scheduled for noon when we arrived and bought tickets for it. Long story short, on the tour there was a group of German tourists and their guides started translating what the guide from the distillery was saying. Not too long after starting the tour, we were told to move to the next one to avoid making the tour longer/awkward for us. Thanks to this we got complimentary coffee, cookies, and pannacotta so I can’t complain. 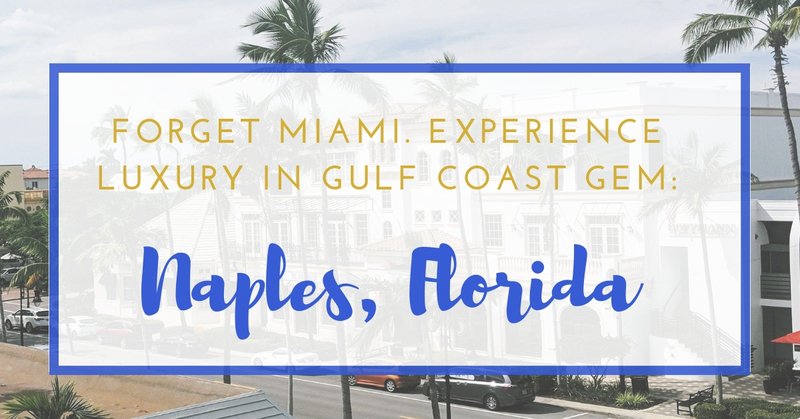 Note: If your schedule is kind of flexible I wouldn’t worry too much about booking a tour in advance (you can still browse the store, eat on the on-site restaurant or drink in the bar). 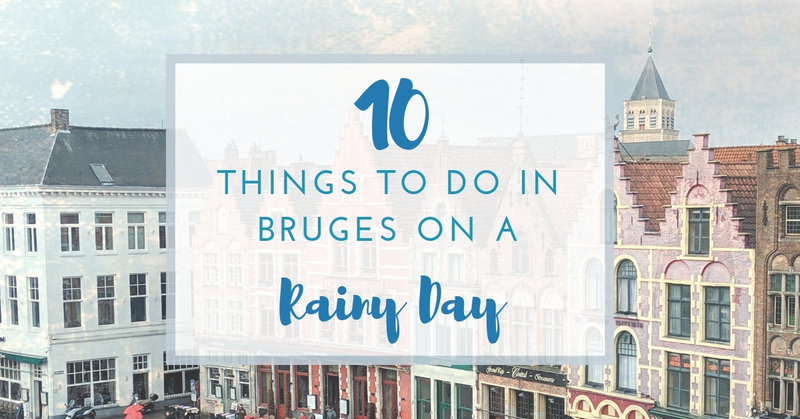 However, if you have other plans for the day, visit the tour website and select a time slot. 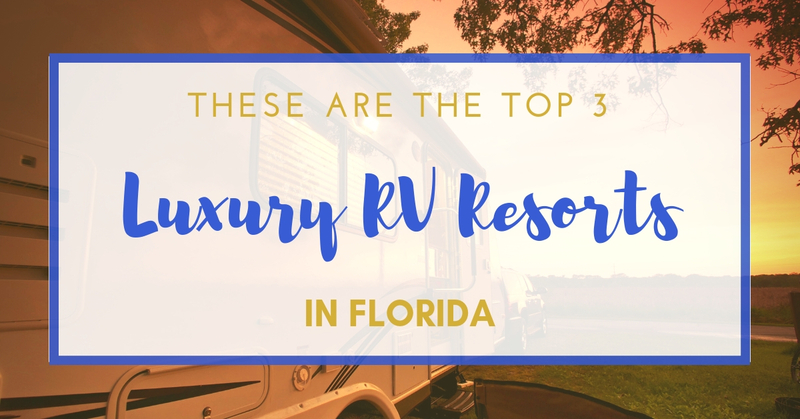 Additionally, if you are interested in other of their premium experiences, it’s better to book in advance since spaces are more limited than for the regular tour. 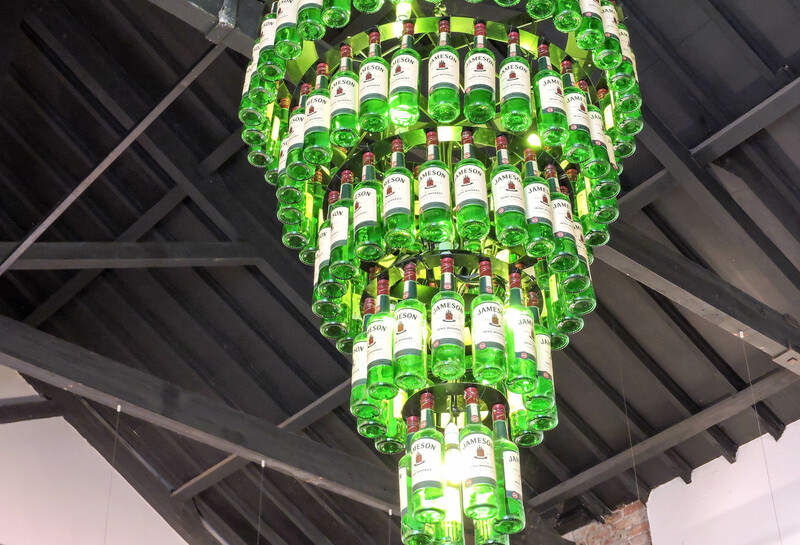 Chandelier made from Jameson Whiskey bottles at the entrance/waiting room. 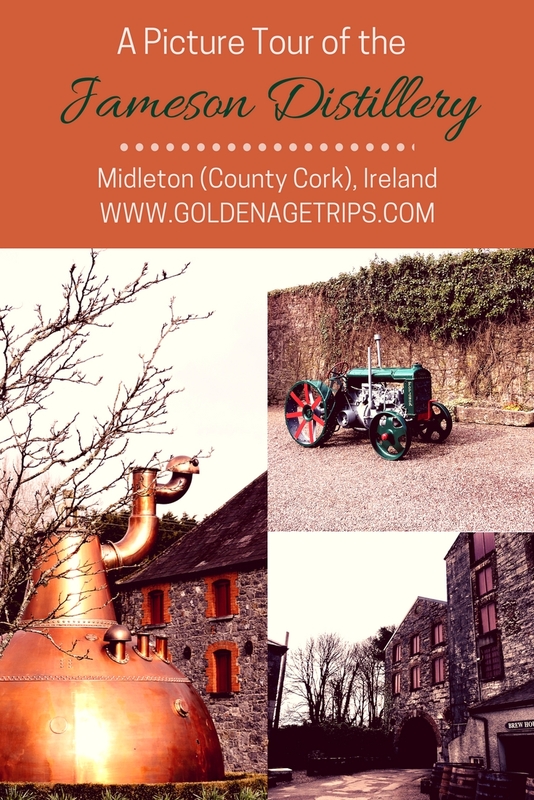 On our ‘second’ tour is when I became aware that we were touring ‘Old Midleton.’ The Old Midleton distillery closed in 1975 and was turned into a visitor center. The New Midleton distillery, also known as the Midleton distilleries complex, is next door and one of the most modern distilleries in the world. It is also the biggest distillery in Ireland. Not only it produces Jameson Whiskey but a variety of whiskeys. Nonetheless, of all the whiskey and liquor it produces, Jameson is the most well-known brand. 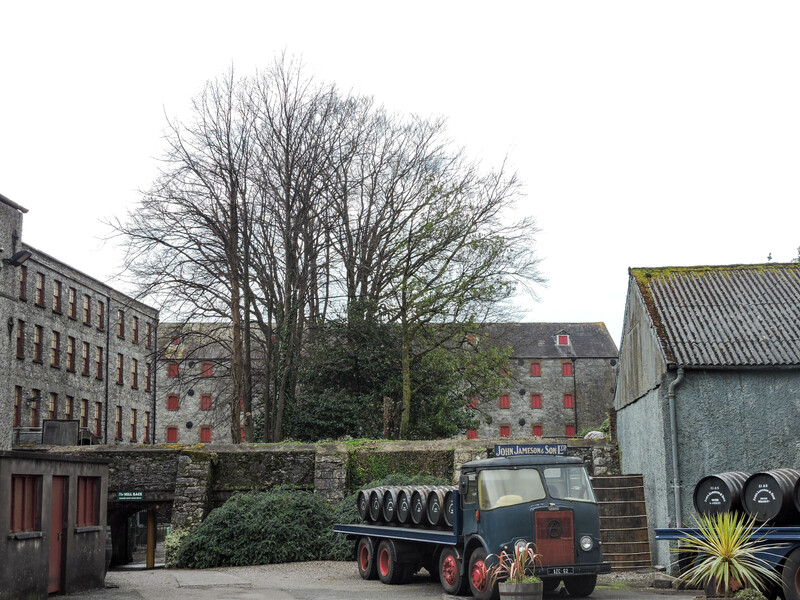 A building at the Old Midleton Distillery where the malting process of the barley occurred. 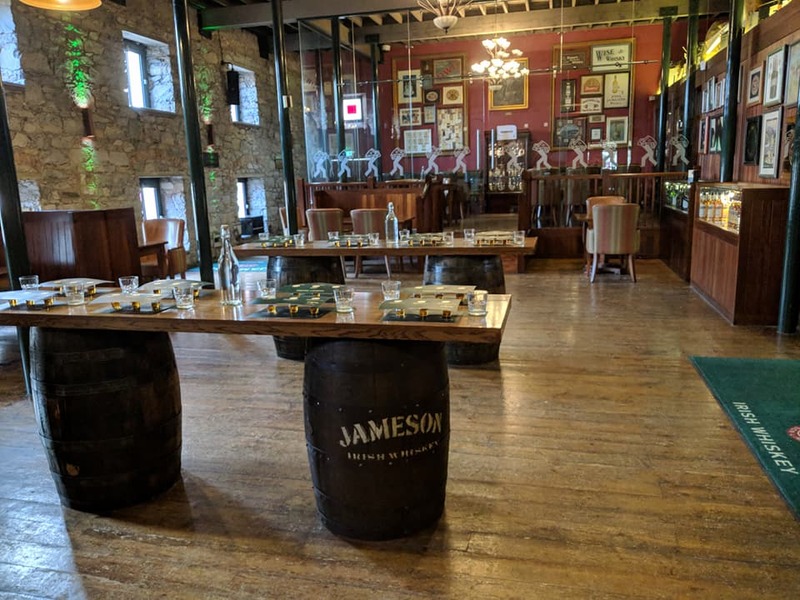 During the tour, you will start by learning about the triumphs and failures the John Jameson and Son Irish Whiskey company has gone through the years. Then, you are moved to a ‘courtyard’ where you’ll learn about how the raw material was received and stored. The talk about the harsh working conditions, and what a typical day was for an employee occurs inside one of the storehouses. At least, after such a difficult day, it is said employees were given whiskey. 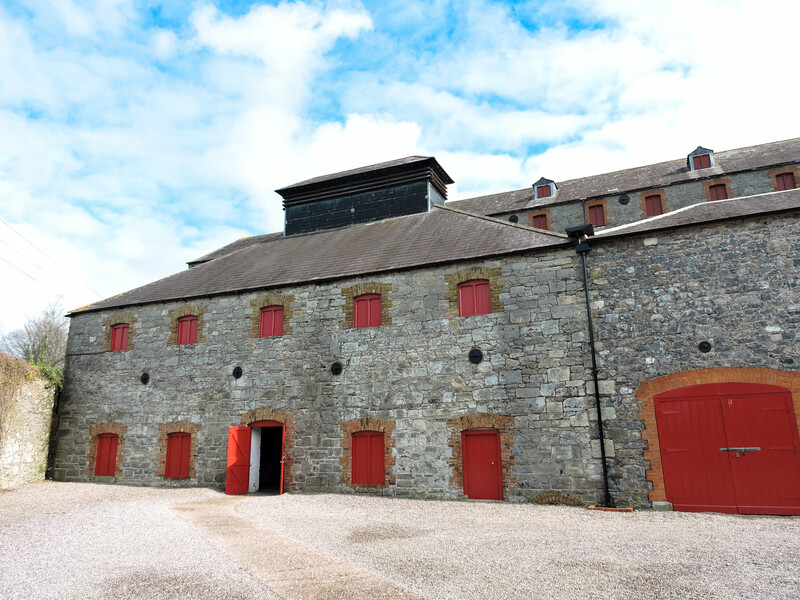 The Old Midleton Distillery has been turned into a visitor center known as the Jameson Experience, Midleton. The tour flows in the same way the whiskey making process does. You will be shown all the steps and hard work it takes to make this prized liquid. You’ll also have the opportunity to see the facility water wheel still in function, with other technological advances of its time. Check out the video below to see the water wheel in motion. At the end of the tour, you might have the opportunity to taste and compare Jameson Whiskey with other whiskeys of the world. 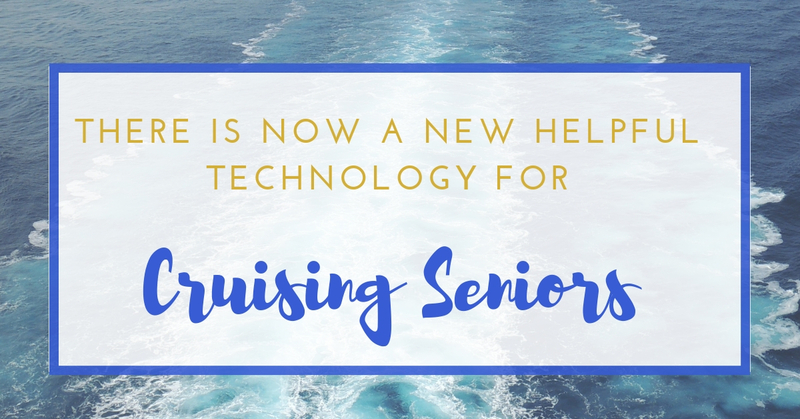 If you are not given this opportunity, you will still get a glass of whiskey. On the rocks, or as a mixed drink, it is your choice. Taste Panel at the Jameson Experience in Midleton. We compared Irish whiskey with Scottish and American whiskey. As you can see, the place is beautiful and set over 15 acres in the Irish countryside.  The guides are knowledgeable, samples are tasty, and you’ll be able to find whiskey you cannot find anywhere else. I did not go to Bow St. to be able to compare both experiences. I do, however, recommend visiting ‘Old Midleton’ if visiting County Cork in Ireland. After your visit the distillery, eat a pizza with a Rebel Red from the Franciscan Brewery in Cork City for me.